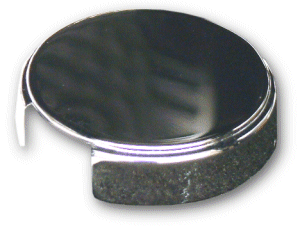 Chrome plated reservoir cap simply fits over existing cap. No one else gives you the bold clean styling of our Aftermarket Dress Ups, Suspension and Performance Parts for your American Muscle Car! Fits these Vehicles: 1984 1985 1986 1987 1988 1989 GT LX Cobra V8 Mustang Roush & Saleen Vehicles.